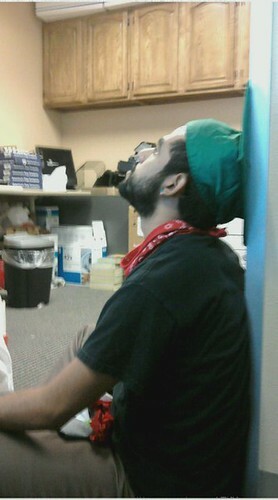 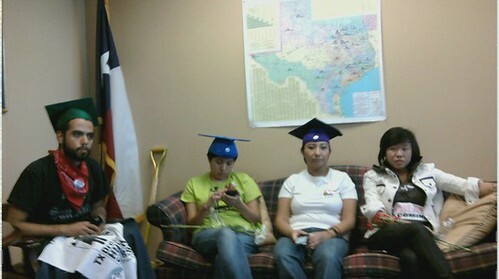 Dream Act Now! 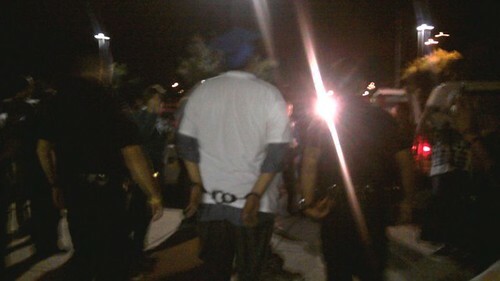 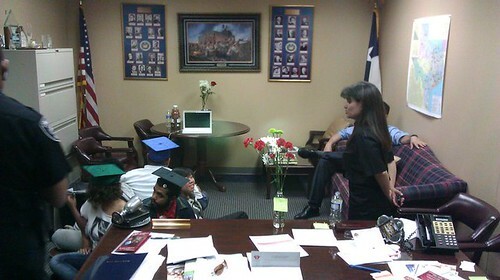 The DREAM is on the move: ~!~!~Senator Hutchison Orders the ARREST of 16 Dream Act Hunger Strikers!~!~! 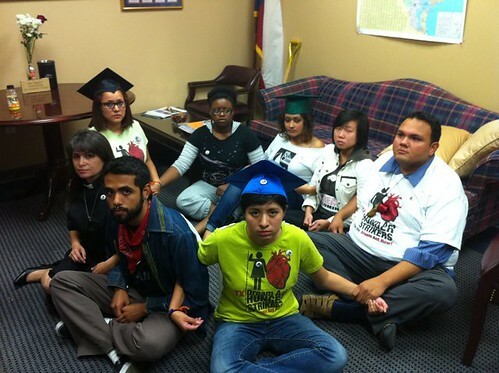 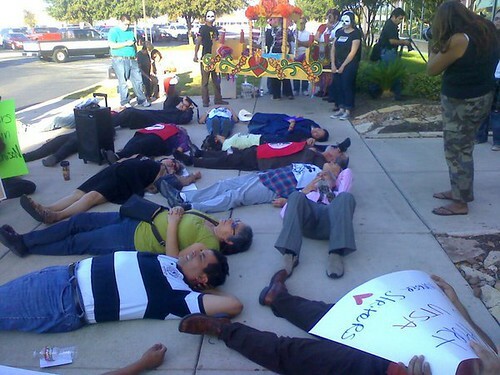 ~!~!~Senator Hutchison Orders the ARREST of 16 Dream Act Hunger Strikers!~!~! 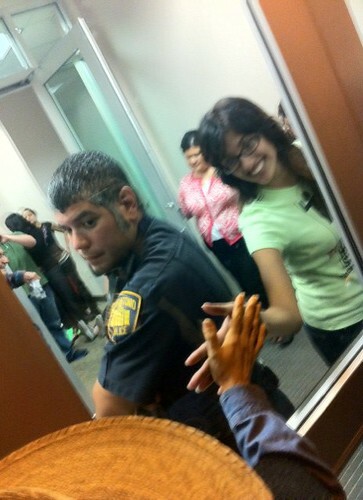 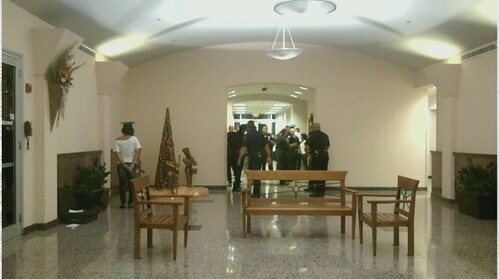 Today, Monday November 30th 2010 at Senator Hutchison's San Antonio office, 16 brave Huger Strikers and supporting community members were arrested at the order of Senator Kay Bailey Hutchison. 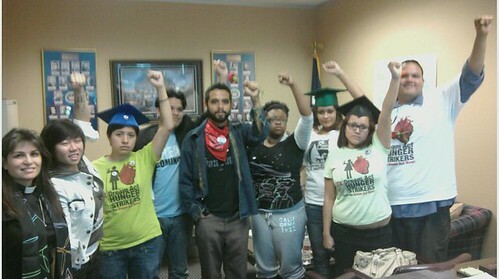 This is the 21st day of the Hunger Strike and now these courageous leaders are in jail. 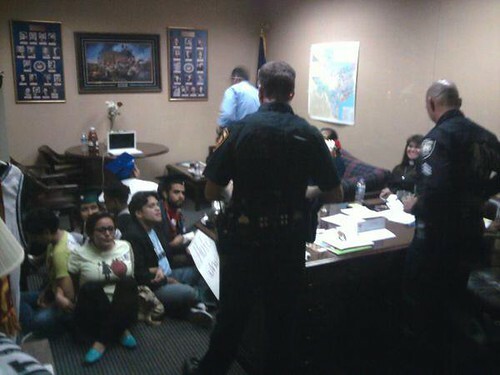 CALL THE SENATOR AND TELL HER THAT ORDERING THE ARREST OF THE HUGER STRIKERS AND COMMUNITY MEMBERS WAS AN IRRESPONSIBLE RESPONSE, THAT SHE MUST LISTEN TO HER CONSTITUENTS, AND THAT SHE MUST SUPPORT AND VOTE IN FAVOR OF THE DREAM ACT!!!!!! 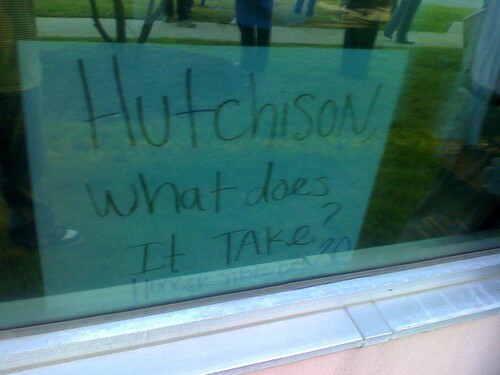 TELL SENATOR HUTCHISON THAT SHE CAN NO LONGER PLAY GAMES WITH OUR LIVES!!! 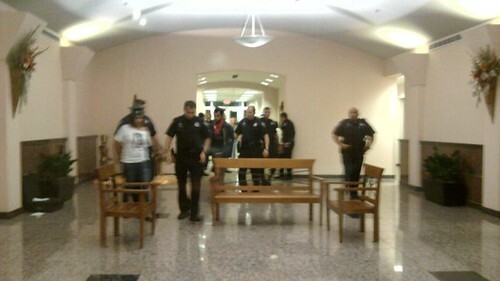 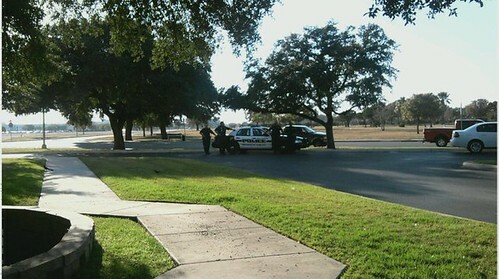 Below are several Photos and Videos of the Day Senator Hutchison Ordered the Arrest of Her Own Constituents.